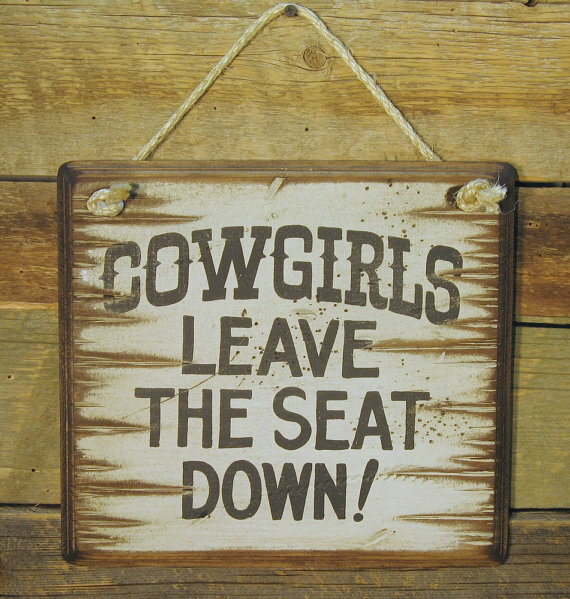 Cowgirls, Leave The Seat Down! Hang this in the bathroom for some outhouse time humor!! There has always been a war between cowgirls and cowboys about the toilet seat! This white background sign measures 12x12 and comes with the grass rope hanger for easy hanging. Handcrafted with pride!